Marcus Hamilton Thanos is marked for death. And Jack Noble is the man for the job. But when the high-profile target vanishes the day of the assassination attempt, Jack is forced to team up with a female FBI agent who was poised to learn Thanos's secret that morning. Together they are plunged into a frantic race across state lines and international borders in order to solve the mystery, all the while unsure of who they can trust. And what they discover is that the truth is more chilling and deceptive than either of them could have imagined. 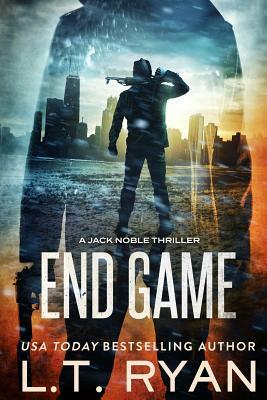 End Game is the latest installment in the explosive Jack Noble thriller series by USA Today Bestselling Author L.T. Ryan. Fans of Tom Clancy, Lee Child's Jack Reacher, Vince Flynn's Mitch Rapp, and Robert Ludlum's Jason Bourne will enjoy this suspense-filled Jack Noble thriller.